Side Effects Software, an industry leader in 3D animation and visual effects software, has announce the immediate release of Houdini 12.5 which offers a wealth of new and enhanced features including Cloud FX , Ocean FX, OpenVDB volume sculpting tools and an optimized lighting and rendering pipeline with built-in support for delayed-load Alembic primitives. -Cloud Rig - This tool creates a cloud network using the Cloud, Cloud Noise and Cloud Light nodes in combination along with a Sunlight and Skylight to create a complete cloud setup. -Cloud - This tool converts geometry into a cloud volume and a gives you control over the shape and density of the volume. Secondary Shapes can be added to give your volume a puffier look. -Cloud Noise - This tool adds a noise pattern to the volume to create a more distinct cloud-like shape. -Cloud Light - This tool computes a light field to support the rendering of the volume. This approximates the scattering of light in a cloud to create a more efficient rendering. -These Cloud tools are built using the new OpenVDB Sparse Volume tools. -Ocean Waves - This tool uses volumes to deform geometry to create an animated ocean surface. You can visualize the results in the viewport then export a displacement texture to use at render time. This tool is on the Deform shelf. -Wave Tank - This tool creates a FLIP fluid simulation with whitewater from an underlying ocean surface. This tool is on the Particle Fluids shelf. -WhiteWater - New, unified whitewater solver creates spray, foam and churn based on an underlying FLIP fluid sim. This tool is on the Particle Fluids shelf. -Mist - This tool emits mist particles into a smoke simulation one-way based on an underlying FLIP fluid sim. This tool is on the Particle Fluids shelf. -New Ocean Spectrum and Ocean Evaluate geometry nodes used to generate ocean surface, volume and point outputs. -Native support for OpenVDB primitives. OpenVDB is an open source C++ library comprising a novel hierarchical data structure and a suite of tools for the efficient storage and manipulation of sparse volumetric data and is developed and maintained by DreamWorks Animation Visit openvdb.org for more information. -Over a dozen VDB geometry nodes to create, manipulate and convert VDB volumes: Convert, Activate, Advect Points, Analysis, Combine, Fracture, From Particles, From Polygons, Renormalize SDF, Resample, Reshape SDF, Smooth, Smooth SDF, Vector Merge, Vector Split, Visualize Tree. -Native viewport and Mantra support for VDB primitives. -VDB volumes in Mantra have support for vector VEX attributes. -SOP support for doing forward and inverse Fast Fourier transforms on 2D and 3D volumes: Volume FFT SOP. -Accurate handling of droplet particles. -Faster and more scalable FLIP fluid simulations. -Fully OpenCL-accelerated Gas simulation pipeline in Pyro. -OpenCL DOP for custom acceleration of simulation performance. -The FLIP solver can now handle animated density and viscosity as well as animated timescales. -FLIP fluids now use OpenVDB to generate the fluid surface and use uniform volumes for rendering. -New constraint types: Slider and Cone Axis which is useful for rag-doll simulation. -Ability to handle concave geometry. -Support for Cylinder geometry types. -Support for interpenetrating or “bad” geometry. -More reliable behaviour under complex scenarios. -Ability to visualize objects that have been put to sleep by the Bullet solver. -Ability to toggle collision detection between objects. -Ability to handle an animated centre of mass. -Optimized performance and collision support. -Support for per-vertex multiplier attributes, in addition to per-point attributes, offering more freedom in controlling the behavior of parts of the cloth. -UV support for triangles and cloth -- the UV coordinates represent the threading of the material and make the solver independent of the underlying topology. -Improved force model, with more independence between stretch, shear and bend. -Visualization of velocity and surface collision thickness which takes into account the point thickness attribute. -Cloth shear stiffness and damping are now independent of their stretch equivalents. 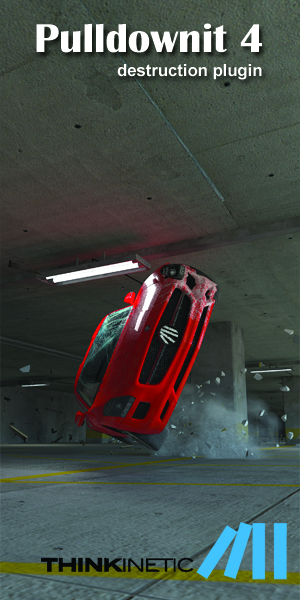 New, surface-based collision - more accurate than the existing volume-based collision method. -Volumetric geometry is now supported as a geometry type by the Geometry area light: Volume Light - this tool sets up a Geometry area light using a volumetric point cloud. This light type can be applied to volume such as a fire simulation to realistically illuminate the shot using the flame volume. Removed point cloud support from the Pyro FX shader now that we have a volume light with point cloud support. Improved the default settings for the Sky Light to create a more natural look and sun angle. -IPR relighting buffer for faster feedback when tweaking material values. -IPR shared memory for volume geometry updates. When using IPR, Geometry is now passed directly to Mantra bypassing the IFD file. New option to force shadows to be ray-traced, rather than shadow-mapped, in IPR . Realtime Render Tile feedback. -First-class support for the new VDB, Alembic and Polysoup primitives. -Alembic Delayed Load Primitives are deferred rendered into the viewport and supported by Alembic procedural in Mantra at render time. A great way of working with and rendering large scenes without loading them directly into Houdini. Ability to query properties of materials and lights from procedurals. New Point Replicator procedural. This procedural is used by the new white water tools and is available as a geometry node to allow for reviewing in the viewport. -More accurate volumetric velocity motion blur with ray tracing. -Volume quality channel parameter for empty space culling. Per-light exports can now be used to produce deep raster planes for export variables defined by light shaders. -Threaded displacements for faster performance. -Much better ray tracing performance with transparency (eg fur). -Ability to query properties of materials and lights from procedurals. -Changed the behaviour of lights in Mantra: the composition of the surface and light shader is now used for shading of area. -lights instead of choosing one or the other based on a render property. -Most point cloud formats used by Mantra (SSS point clouds and photon maps) now use Cd for irradiance rather than E. SSS point clouds also store a positional P channel. -The obsolete "Environment (*)" light type has been removed from the HLight OBJ. One should use the Environment light from now on. -A new render property lets the user scale the point sizes at render time. -Multi-line parameter allows typing a “snippet” of VFL code (related to Snippet VOP). -Much faster navigation of node networks. -Some node tiles (eg File OPs and Constant VOPs) have labels that are driven by their parameter values for better clarity of what the node represents. -Middle-mouse on a node tile now displays the class of each attribute (eg float, int, string) as a suffix to the tuple size. -Allow changing the comment on editable nodes in locked digital assets. -The playbar frame number changes to an orange background colour when Scroll Lock is on. -Type-ahead support in the file browser, along with keyboard navigation using the arrow and home/end keys. -The static RMB shelf menus have been converted to XML. -Ctrl-Enter in input fields lets the users commit their changes without losing keyboard focus or cursor location. -The "Select Next" hotkey F now cycles through alternate candidate groups containing the last selected entity in the group selection modes. -Much faster sorting of displayed data in the geometry spreadsheet. -A label now indicates which parameter channel is being edited when a vector parameter is in expression mode. -The DOPs Details view now preserves the sort order of the data view between frames; also: the DOPs details view will no longer collapse when switching to a non-DOP view or when the simulation data disappears and reappears. -New “Polysoup” primitive type with wide SOP support in the software. -New “Remesh” SOP to build clean triangular meshes from non-manifold surfaces. -New “Point Wrangle” SOP that is similar to the Point SOP but uses VFL snippets. -New “Point Replicate” SOP that copies point clouds onto points that obey the standard instancing attributes. -New “Attrib Wrangle” SOP that is similar to the Attribute SOP but uses VFL snippets. -New “Volume Wrangle” SOP that is similar to the other Wrangle SOPs but for volumes. -New “Transform Pieces” SOP that transforms pieces of geometry according to attributes on a set of template points, following the same rules as copying and instancing. -New Trail SOP option to compute angular velocity. -Continued SOP optimization, including multi-threading and taking advantage of the GEO architecture introduced in H12.0. -Parallel creation of geometry in select SOPs. -Easy visualization of groups in the viewport. -Group name preservation in the interactive selection tools. -Unicode support (in the Font SOP and COP, as well as the viewport); basically any TrueType, Type1 and OpenType font is now supported. -Optimized cooking of VOPs via “encapsulation” of VFL code in each VOP node where permitted. -Faster compilation of VFL code with direct LLVM output (entirely bypassing VEX code generation). -Basic sensor toolset in the form of “Panoramic” VOPs. -Dedicated node for binding attributed (Bind VOP). -New Snippet VOP that lets user type actual VFL code that can be exported up to parent network. -A convenient Geometry VOP at the DOP level. -Many new VEX functions such as point, vertex, prim, detail, xyzdist, nearpoint, minpos, primuv ported over from Hscript. -Removed obsolete VEX photon context. -vexexec is a new command-line executable that can run a CVEX shader. -VDB, Alembic, Polysoup primitive support. -Environment lights can be displayed in the background. -New inspection mode in the scene viewer to provide information about the geometry underneath the mouse cursor. -Enhancements to viewport point instancing, including support for instancing multiple objects using the “instance” attribute. -Interactive selection now available for the Group SOP in UV viewports. -The 3D viewport automatically sets the ideal image quality limits and viewing parameters by querying the graphics hardware. -New viewerinspect command to save the viewport inspection settings to the hip file. -A new viewport option (off by default) allows volumes to be displayed as point clouds in wireframe mode: Geometry Tab -> Tessellation group. -New Vector Scale display option to control all custom vector decorations and the length of the point velocity vector globally. -Support for pixel value inspection in the scene viewer Inspect tool. -Python support for additional geometry inspection information in the viewport. -New Alembic primitive that eliminates the need to bake Alembic data into Houdini geometry, resulting in much lighter data passing through the system. -Much faster loading of Alembic data (linear versus quadratic time). -Native viewport support for Alembic primitives (2x faster than current display). -Native Mantra support for Alembic primitives (as procedurals). -Ability to display Alembic primitives as proxy data: bbox, point cloud, centroid. -New spatial filters for loading Alembic data, such as bbox containment. -Ability to load Alembic data as a Houdini point cloud or a bbox. -Ability to load Alembic objects as flat Houdini nodes rather than a hierarchy. -Completely redesigned output driver with controls for properties such as constant topology. -Directly supported by Houdini’s bullet solver (no explicit conversion required). -The Alembic ROP is available in the SOP context. -Alembic I/O supports face sets for polygonal meshes and subdivision surfaces. -New Alembic Group SOP to help with selecting and grouping Alembic primitives. -The Alembic Delayed Load archive primitives can be configured to respect the Alembic visibility flag. -Support for dual Alembic files: one for animation and another for uv's or other attributes. -Digital Assets now store the unit scales to properly adjust to units in the sessions where they are instantiated. -The GEOio file has been changed from a simple text file to a JSON file. Old GEOio files still supported for now. -File SOP and the DOP I/O now offer the option to create intermediate directories (off by default). 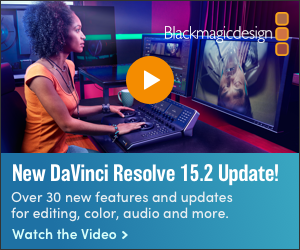 This provides significant time-savings for Technical Directors. Houdini, used for modeling, animation, character rigging and rendering, is available for as low as $1,995 and Houdini FX, used for visual effects such as particles, Pyro FX and fluids, is available for as low as $4,495. These prices include the first year on the Annual Upgrade Plan which gives you access to production-level technical support, daily builds and all major upgrades. The free Apprentice Edition can also be downloaded today and Houdini Apprentice HD is available for an annual fee of $99.